I haven't been blogging for very long, maybe more consistently over the past several months, but this is what I've discovered! I think I've always had a lot of clothes that I never really appreciated. I enjoy variety, but at the end of the day, I always end up coming back to the same old outfit: Jeans and a neutral shirt/sweater. I don't know why I have so many clothes if half of the time I don't wear them. Now I'm starting to sound like my husband. Maybe it's a girl thing! Yes, I firmly believe it's a girl thing. My closet re-discoveries initiative then forced me to re-open my eyes to what I currently have, encouraged me to use those pieces to the fullest potential and be creative with each clothing item. Blogging about it was what made it the most fun, because then I had a whole community to share it with :) Many of my close friends from college chuckle at me, because they knew me from back in the day where all I wore were sweat pants and dark clothing. I use to dress rather gothic.. but I'll save that story for a different day. I wouldn't necessarily call myself now a hard-core fashionista, but I do definitely appreciate the creativity and beauty behind style and clothes much more than before. I know that it's easy to always want to stay on trend and get the latest fashion pieces, but don't forget to appreciate what you have. The average closet investment is probably hundreds to thousands of dollars, don't take it for granted no matter how boring you think it is! It's amazing what you can re-discover without always getting more. Remember the days when you could play all day with just a piece of paper, some tape, crayons and a spatula? Remember the days when you could make colorful posters, unique science projects, artistic paper mache creations, drawings, write magical stories and be proud of what you came up with? Maybe I just miss being a kid. 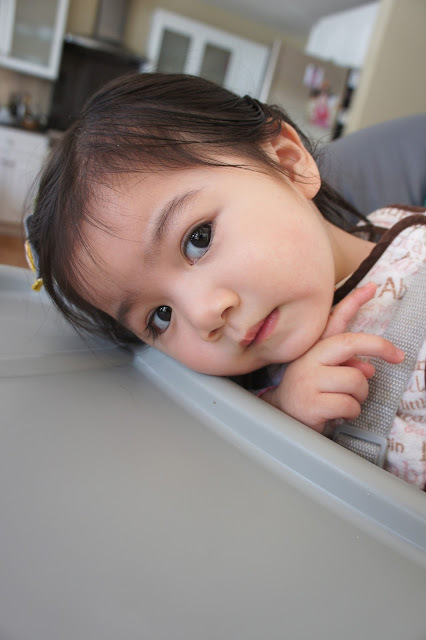 Maybe I'm seeing Grace grow up so quickly, and I'm terrified that I won't be a very exciting mother because I feel like I lost all my creativity over the years. I use to love art, designing things, drawing, painting, etc. Going through 10+ years of intense medical training doesn't really give you much opportunity to exercise that, unfortunately. But blogging, creating new designs, painting my own online picture, finding art through photography, finding fun through fashion... what a great way to express your creativity through that! I feel like a kid again :) A really big kid. There was an estimated 200 million active blogs in 2009, I don't know how many there are now but the blogging community has grown exponentially. There's a blog for almost everything nowadays, which doesn't surprise me since technological advances in internet communication and social media have grown so quickly. I think a lot of people tend to express themselves better through writing, and there's always some interested target audience who share similar opinions. The internet truly has been able to connect so many people together. I've met some pretty amazing people through blogging- fabulous mothers, fellow physician bloggers, beautiful fashion bloggers, lifestyle bloggers.. and have gotten to know a lot of you through your online journals. Thank you for all being so wonderful, positive and supportive. I've actually also been able to meet a few families who's children had health problems similar to Grace's, and we've been able to encourage, support and pray for each other through our blog connections. How great is that? The camera is truly one of the greatest inventions of all time. I grew up hating taking pictures. Why, you ask? I think it was mainly because I was too lazy to carry it around. Plus I thought it was a really cheesy and touristy gesture. I wish I could slap myself back then. There's a huge chunk in my life from college through med-school and residency where I have no pictures at all. NOTHING. All because I was too lazy. I can't even find our wedding pictures that our awesome photographer Albert Yau from Second Print Productions took for us. That's how much photography didn't mean to me back then. One of my biggest regrets. Photography is beautiful. It captures history, art, life, memories. It captures something that my demented brain will probably forget someday. I want to be able to capture everything from now on and remember our lives. One of my favorite photography blogs is by Blue Bird Vintage. She takes breathtaking pictures of her kids every week, and you can literally sense her children's playful personalities through these pictures. They're amazing. I must also mention that you don't need a phenomenal $5,000 camera to take great pictures. We use a standard Sony Nex-5 and it has been great without costing us a kidney. Aaron has actually been a huge contributor to this blog. Guess who actually came up with the name? While I was thinking of hideous blog names like "TheChan-Clanfamilyadventuresdaybook .blogspot.com" or "Christyslittlehumblecornerramblings.blogspot.com", or "The-geriatricianbyday- bloggerbynight.blogspot.com". He didn't make fun of me. How about Sunny with a side of...? Our days are always happy and bright, whatever we blog about will be an added silver lining to our day. He is the man behind the camera, taking those artistic shots and crawling on the floor to take the shoe shots without complaint. He also helped with the blog design too. The little dot that's floating away in the corner on my banner? I have no idea what it means, but he came up with that and I LIKE IT! It's been a nice hobby we can do together. He even reads your comments and gets all excited about new comments too. haha :) So please support him when he writes his movie reviews! I know it would mean a lot to him :) Anyways, his talents go way beyond this blog... and I'm proud of him for so many other things too. Are you considering to start a blog? You should do it! :) If anything, it'll be something nice to browse through when I'm retired, sitting in a nursing home 50 years from now. 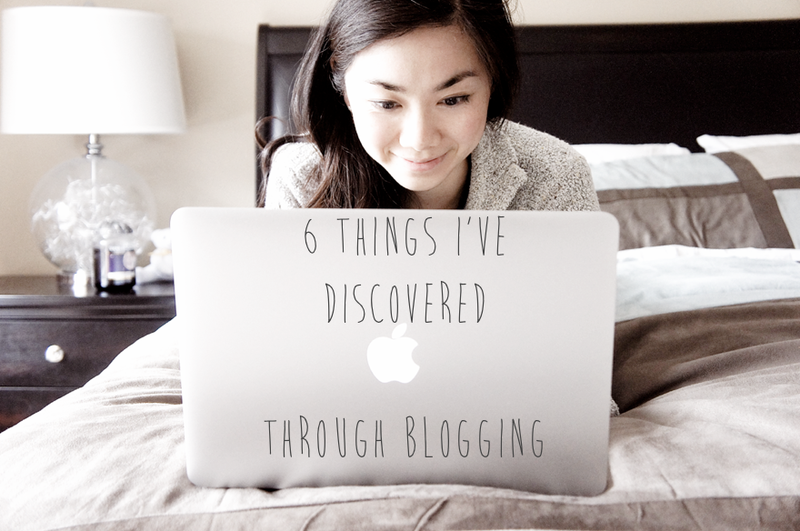 What have YOU discovered through your blogging experience? These tips are really helpful, thanks for taking the time to put this together! I've learned so much through blogging/taking pictures about the world and technology as a whole, its a miraculous thing! Aaron should totally do a fashion post where you take pictures of him! I agree with you 100% on everything - minus number 5 (I'm still working on that! haha), regarding blogging. So far for my first week I've realized it's time consuming, especially when you have writers block. AND I'm totally not a writer! I'm horrible at posing; I'm finding myself doing the same pose over and over. And finally, that I still need to read up on how-to's. Your number 1 is my number 1 as far as learning how to customize my blog. I'm still learning the ropes, but I think for my first week it's not so bad. Anyways, great post! And so far what I've seen, you've got a great wardrobe! Such great insights, many of the reasons I love blogging myself! The blogging community is the biggest reason I hopped on the bandwagon! You are so lucky to have Aaron as a partner in this endeavor as well. Your photos are just lovely, and it's nice to get that boost of encouragement. I'm definitely enjoying reading along and hope you can keep finding time to blog! Awww yay a new post! I love reading your list of things because I felt the same way! Esp with the husband has more talent than you thought. I recently started to have my Hubs take my outfit photos for me (my lil sis has been taking them) and surprisingly I was impressed by his shots. Go figures! haha.. I can't wait to read more of your blog on a regular basis! I always enjoy reading you blog. And I second Bev's suggestion for Aaron to do a fashion post! :) Also Dave says he uses C++ every day. I learn a lot from blogs- very grateful that blogging exists! Love your new design! I haven't had a chance to create a pretty template for my blog. I just have enough time to write my blog. I love this post! I can agree with everything you said, especially about the blogging community. It's pretty fantastic! I love meeting other bloggers and being inspired by them with my own closet. Lovely outfit! I do agree with all the points that you've made. I think blogging is an amazing was to share a passion and find new ones! i love this post! i'm even newer to blogging than you are. where did you start with making your template? it looks so nice and i have NO IDEA what to do. LOVED this post! Your daughter is sooooo pretty. xO! Really wonderful Christy! Love reading your thoughts. I came to think of it too ... my closet ain't that boring haha. And blogging gives a whole new perspective and makes us learn about photography, etc. Really cool! You are just too cute! Merci for your lovely comment on my Blog! ♥ That is so right - I enjoyed your post really much! ;) Do you like to follow each other? Love your blog Christy! I've been reading it for a long time now. Am so happy to see Grace doing so well. I laughed pretty hard watching the harlem shake video and seeing your parents pretend like nothing weird is going on. Hope Stacie and I can see you and Aaron this summer (he mentioned you guys wanted to go outdoors more hiking and what not). Haha love this post! I've realized that I've learned some of these things too! I've learned a lot from blogging over the years too. It's a wonderful medium for expressing yourself, and discovering new things and ideas! I completely relate with you on number two (and well all of them but number two especially) I feel like blogging makes me look at my clothes in a whole new light. And it makes me feel a bit braver when trying to mix items I never thought would work together. am glad i joined the world of blogging my self , my style is way better than before & am more confident & less afraid to share my thoughts & ideas to the whole world to see . may god bless you all . Am following you now with GFC , Wanna follow me back so we keep visiting each other ? I love your blog posts! I can totally relate... growing up, you could never find me without a sketchpad and my drawing pencils. Over the years, I felt like I lost my creativity, and by blogging I've been slowly rediscovering that side of me. Blogging is a great way to chronicle your life and share with others your pain and pleasures... It's amazingly cathartic. Your baby girl is beautiful, what a sweet photo!!! Great post. Isn't the blogging community fabulous!!! I love all the people that i have met. I totally agree with all the computer stuff. My husband is a computer programmer and he has been a huge help. okey since your husband reads the comment i just want to say that, Aaron you are doing an amazing job supporting your wife on this and for that she will love you more than ever. This is something i always say to my husband, without you guys we wont be able to do it so again THANK YOU! Thanks for the kind words Lala! I'm glad you found the tutorial helpful and decided to make it, definitely do feature it on your blog once you finish, I'd love to see it. Have a great day! I agree with all of your points! One of my greatest surprises was the blogging community. I really had no idea there would be this many people who would support me... and I definitely didn't expect to become friends with any of them. I love that. I love seeing pictures of little Grace, she's looking SO cute. Yep, I've learned a ton about HTML and coding. And I really wish I knew more about photography!! Sigh. Definitely something I discovered that was really important to blogging as I've been going along. So true! Keep on blogging! Love this , you so right the blogging community is amazing . Great post. All of these are so true! Although some days I feel the opposite about #2, I'm always like, but I've worn EVERYTHING on my blog already! wow!! These are all so true especially the first and second one haha! I've discovered just how truly awesome my husband is! Well, I always knew that...! hehehe He's a software engineer, so he helps me with code. He also takes 80% of my photos! Yay for husbands!